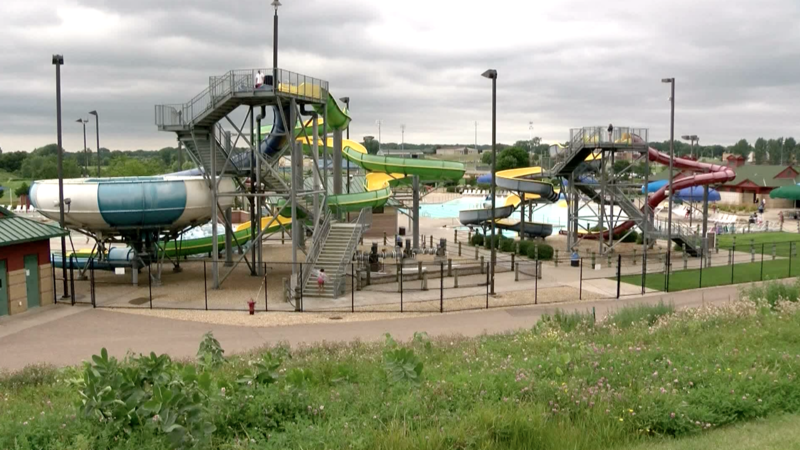 An 18-year-old is in custody after allegedly picking up and throwing an 8-year-old boy off a 31-foot waterslide platform in Minnesota on Tuesday, CBS Minnesota reports. The suspect, identified as Roman Adams, allegedly threw the boy because he was upset that the line was taking too long, police say. The Apple Valley Aquatic Center has been and "we've never had an incident of this magnitude," Apple Valley Police Capt. Nick Francis told CBS Minnesota. "Everybody in the water park that saw it happen are just devastated by it." Investigators later learned Adams has cognitive disabilities, CBS Minnesota reports. A personal care assistant was with him at the park, but was not in line with him for the slide. "Our investigation focused on [if Adams] knew what he did was wrong, he knew what he did was going to hurt someone and he did it," Francis told the station. The 8-year-old suffered several broken bones but is lucky to be alive, police say. They say lifeguards quickly helped until police arrived. Adams was arrested for third-degree felony assault, CBS Minnesota reports, and his mental abilities may impact how the county attorney moved forward with the case. "There's not a lot of safety mechanisms that you can put in place for when someone commits a crime, so I don't think another guard or a higher rail could have prevented this from happening," Francis said.